Many travelers enjoy getting a little shut-eye on their trip. While most are awoken by the sound of fellow passengers or small bout of turbulence, a woman traveling from China to Australia woke to the sound of an explosion: her headphones. During her recent flight from Beijing to Melbourne, the passenger says she fell asleep while listening to music on a pair of noise-canceling headphones — the specific brand has not yet been reported. 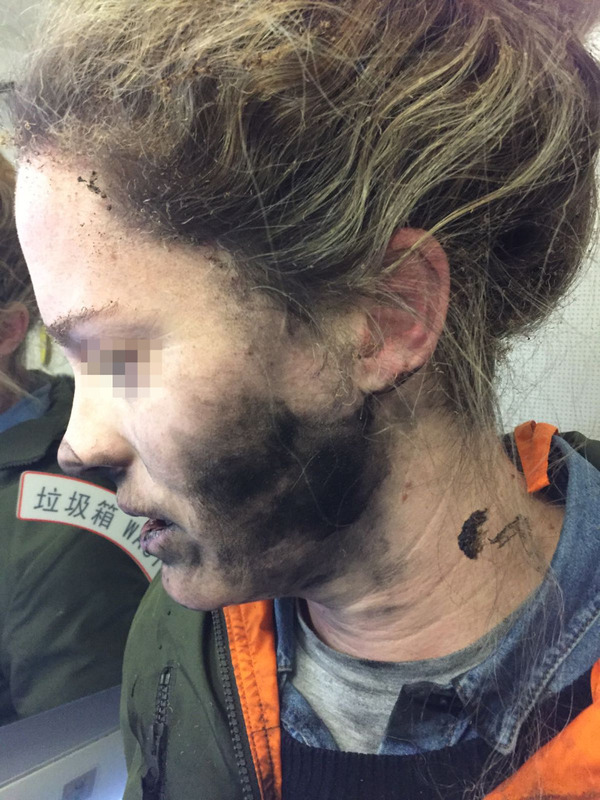 About two hours into the flight, the woman’s slumber was interrupted, however, when the battery in the headphones reportedly exploded, the Australian Transport Safety Bureau said in a statement on Wednesday. The woman says that when she went to stomp on the headphones to put out the sparks, flight attendants were already nearby with a bucket of water. The crew members put the headphones in the bucket and placed it in the rear of the plane. However, the battery and cover of the headphones had melted and remained stuck to the floor. The woman was left with blisters on her hands and a blackened face. The ATSB notes that the flight continued to Melbourne while passengers endured the smell of melted plastic, burnt electronics, and burnt hair. The Bureau determined that the battery in the unnamed brand of headphones likely caught fire. • Oct. 2016 — A Southwest Airlines flight was evacuated at the gate when a replacement, supposedly non-flammable Samsung Galaxy Note 7 caught fire. • Sept. 2016 — A spare electronics battery caught fire in the rear of a Delta Air Lines plane. • Sept. 2016 — Another Delta Air Lines flight was diverted when a Samsung tablet fell inside a seat and became jammed. At that point, the tablet and foam from the seat began to smoke, with passengers reporting a strange odor. • Sept. 2016 — A Samsung Galaxy Note 2 phone reportedly began to smoke while stowed in the overhead bin of an IndiGo flight from Singapore to Chennai, India. The incident did not cause damage and the flight continued to its destination without issue. • May 2016 — An e-cigarette ignited itself in a Delta Air Lines’ passenger’s carry-on bag, causing the flight to be delayed. Next Beloved Indie Clothing Retailer ModCloth To Become Part Of…Walmart? Next Up: Beloved Indie Clothing Retailer ModCloth To Become Part Of…Walmart?